Can't wait till Star Wars: Episode VIII finally arrives later this year? Haven't had a chance to see Rogue One in cinemas yet? 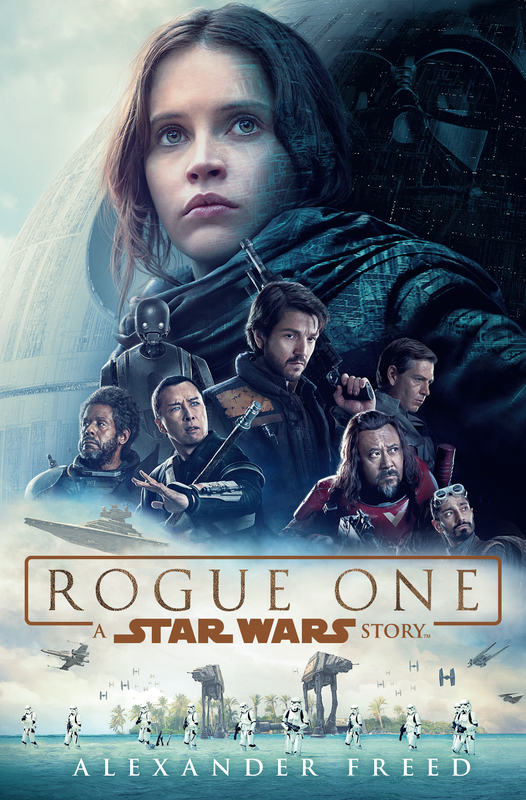 Seen Rogue One more than once and really want to spend a few more hours with the characters before you get the opportunity to purchase the DVD? Well I've got a couple of books that might just fill the Star Wars shaped hole in your lives for the next eleven months. Over at Starburst Magazine, I've reviewed the novelisation of Rogue One: A Star Wars Story by Alexander Freed and I've also reviewed the Art of Colouring book for Rogue One as well. "For those who criticised Rogue One for bland characters or a lack of character depth, you might find more to like in Freed’s novelisation. He does an excellent job in balancing multiple character viewpoints, offering a little more insight into many of the characters’ decisions and mind states. Ben Mendelsohn’s villain Orson Krennic is best served, with his character being an endless source of fascination throughout the book. We also get more details about Jyn’s backstory with Saw Gerrera which had to be dealt with far too quickly in the film. Most of the book treads very literally on the toes of the film, but there are a few extended or new scenes that Freed includes with mixed results. These new parts, including more of Galen and Orson in the prologue, and more of Jyn in a cell at the labour camp that she is rescued from at the beginning of the film, add little, but are not jarring with their presence..."
Read more of this Rogue One novelization review here. "Have you ever wanted to brighten up Darth Vader’s none more black costume? Well here’s your chance. Unless you really like using your black and grey crayons, the Rogue One colouring book is an outstanding chance to bring some much needed colour to the dark side, and make Darth Vader into Darth Fabulous. 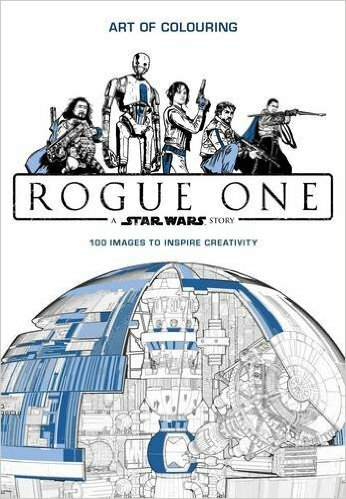 Unfortunately, of the 100 images contained within to ‘inspire creativity’, there is only 3 pages where you actually get to tackle the Sith Lord himself, but elsewhere you have plenty of opportunities to colour in the many other characters of Rogue One. The drawings range from the wonderful (Jyn Erso, Chirrut Imwe) to the ever so slightly strange (Saw Gerrera). 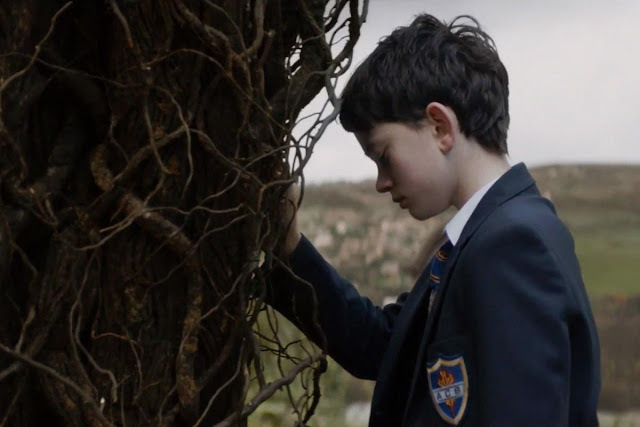 Countless characters are included in a variety of poses, but more Vader would have been much appreciated..."
Getting 2017 off to a great start, here is my review of A Monster Calls, a film that I was lucky enough to see at the London Film Festival last year. Bring tissues. Connor is an artistic young boy struggling to come to terms with the terminal illness of his young mother (Felicity Jones). Bullied at school, left to run the home, and plagued by a recurring nightmare, he is soon visited in his dreams by the hulking great cross between a Transformer and an Ent. This ‘monster’ forces Connor to listen to three tales about kings, queens, pastors, and an invisible man. As Connor’s Mum’s illness worsens, Connor’s behaviour becomes more destructive, especially when his estranged father (Toby Kebbell) arrives from L.A. and Connor is forced to live with his uptight grandmother (Sigourney Weaver). If this sounds like something that might sway your branches, then head on over to Starburst Magazine to read the rest of my A Monster Calls review.